CAPITOL HILL — Lawmakers focused on protecting U.S. shipping and commerce in the Arctic and Pacific at a time of increasing great power competition in questions Tuesday nomination hearing for U.S. combatant command. Currently, Russia and China enjoy a roughly forty to two icebreaker advantage over the U.S. Addressing this disparity will be critical for the next head of U.S. Northern Command, said nominee Gen. Terrance O’Shaughnessy, who is currently the Air Force’s top general in the Pacific. “I would certainly make the Arctic a priority,” O’Shaughnessy said. O’Shaughnessy was speaking at his Senate Armed Services Committee confirmation hearing. Joining him for considering was Adm. Phil Davidson, nominee to head U.S. Pacific Command. Davidson is currently the commander of U.S. Fleet Forces, a job including ensuring the fleet is properly trained and equipped. Following last summer’s pair of deadly ship collisions, which killed 17 sailors, Chief of Naval Operations Adm. John Richardson tasked Davidson to undertake a Comprehensive Review of the Navy’s surface fleet. Davidson’s report addressed such topics as operational tempo and training. Sen. Blumenthal (D-Conn.) asked Davidson if he’s satisfied with how the Navy is pursuing suggestions made by the comprehensive review. Davidson said he is satisfied but additional funding would help speed up the time line for implementing all the suggestions. 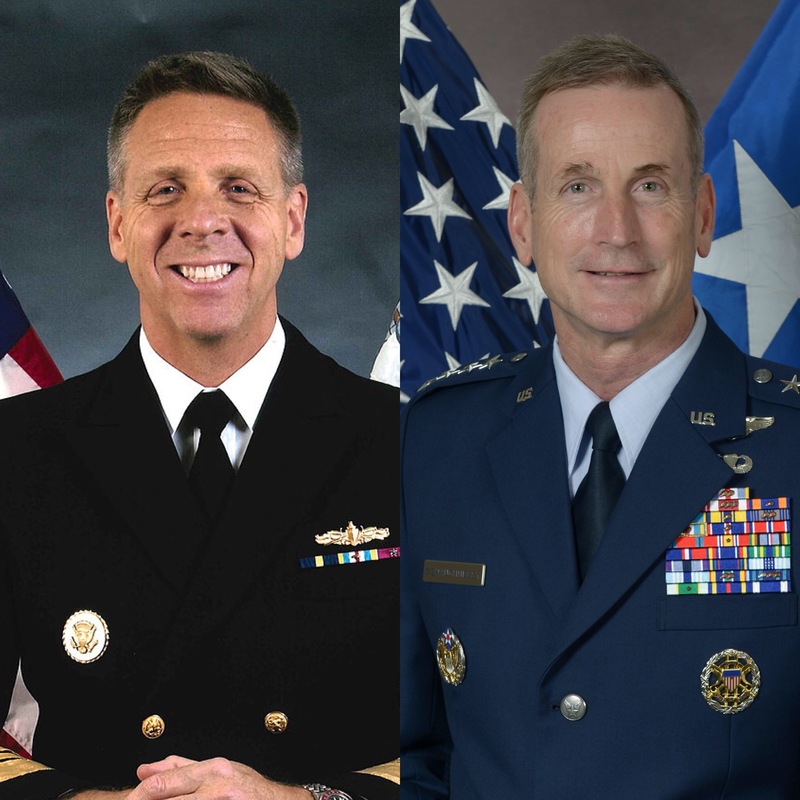 Davidson became the leading Navy candidate to oversee the largest U.S. geographic combatant command in April after outgoing U.S. Pacific Fleet commander Adm. Scott Swift abruptly announced his intent to retire in September. O’Shaughnessy had been thought to be a serious PACOM job before being tapped to lead NORTHCOM. As the NORTHCOM commander, O’Shaughnessy said he wouldn’t have any procurement authority to buy icebreakers, but suggested he’d be a big supporter and an important ally for the Department of Homeland Security and U.S. Coast Guard on Capitol Hill when it comes to funding for a proposed fleet of icebreakers. The Coast Guard is currently considering proposals for a new heavy icebreaker, the first such ship the service has purchased since the 1970s. Estimates suggest the first heavy icebreaker could cost nearly $1 billion, but the cost for follow-on ships would likely be less, especially if the Coast Guard receives congressional approval to sign a bulk-buy contract for a proposed icebreaker fleet. “As the Arctic opens up, it’s not open for all seasons. You need the icebreaker to clear a path for the ships operating there,” O’Shaughnessy said. Davidson fielded several questions about the role of PACOM’s commander keeping shipping lanes open in the Pacific. China is a regional rival, but also a large trade partner, and vital to decreasing the building tension on the Korean peninsula. As PACOM commander, Sen. Jack Reed (D-R.I.) asked Davidson about how he viewed his diplomatic role in the region. Sen. Tom Cotton (R-Ark.) asked Davidson about China’s recent construction boom, building islands in the South China Sea, as a means of projecting their influence over the region. Cotton wanted to know if Davidson was concerned with the ability of the U.S. Navy and Air Force to keep the region’s sea and air lanes open for commerce. “It is our job,” Davidson said.